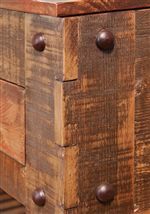 Simple and casual this dresser mirror will infuse your home with a rustic look. 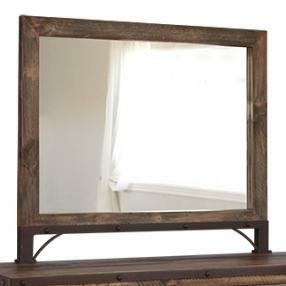 Framed in solid pine with a wire brushed and distressed finish this mirror will give your room an earthy feel. 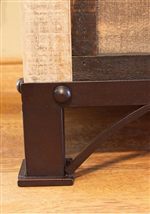 Adorned with hand forged iron this piece has a touch of industrial style that your are sure to love. 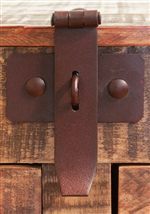 The 900 Antique Rustic Wood Framed Dresser Mirror by International Furniture Direct at Miskelly Furniture in the Jackson, Pearl, Madison, Ridgeland, Flowood Mississippi area. Product availability may vary. Contact us for the most current availability on this product.